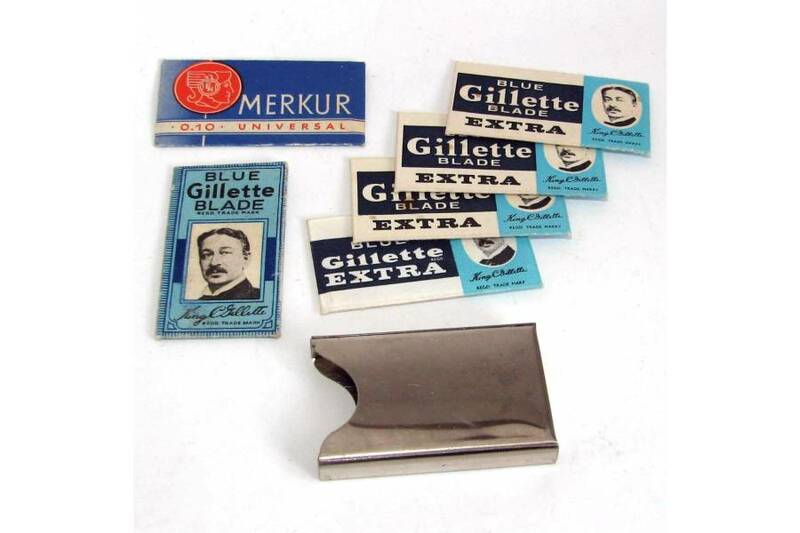 King Gillette Blue & Merkur New Old Stock Vintage Safety Shave Razor Blades. Comes in a nice chromed box. New old stock. Never used. Vintage item - Some wear, rust or damage should be expected. Not recommended for everyday use. Great addition to every serious collection. Add some vintage style to your bathroom. With these vintage safety shave razor blades you will feel as men in early 1900s did. Blades and the box are in good condition considering their age. "Good Mornings" begin with Gillette - early slogan used to market the blades.